Primal.Live NeueHouse was held November 8, 2017 at NeueHouse, a global home for innovators in film, design, fashion, branding, architecture and the arts. The event was sold out. Primal.Live Neuehouse was our prototype Primal.Live interactive event. Primals came from as far away as Los Angeles, Paris and New Jersey to attend this sold-out event and learn how others are using Primal Branding as the seminal construct for building communities around people, places, and things (like products and services). Rooted in the fundamentals of belief and great storytelling, Primal Branding is a holistic system for building brand communities that reaches across media silos by making moments for omni-channel activation. When people feel they are part of your tribe, they prefer you above other choices. Watch for insights on Primal.Live videos. We didn't shoot everything all the time, but you'll get a sense in our videos and photograph of how Primal Code was brought to life for crowd-builders, branding and marketing professionals, plus people in PR, social and digital media, entertainment, politics and people trying to build audiences. These hands-on work sessions helped them build out brands in real time. They weren't just given tools they took back to the office, but used them right in the moment. “The products and services that people feel something toward—and buy—have a pattern or construct in place that is not always apparent but is vital brand infrastructure. Follwers don't just buy, they buy-in." 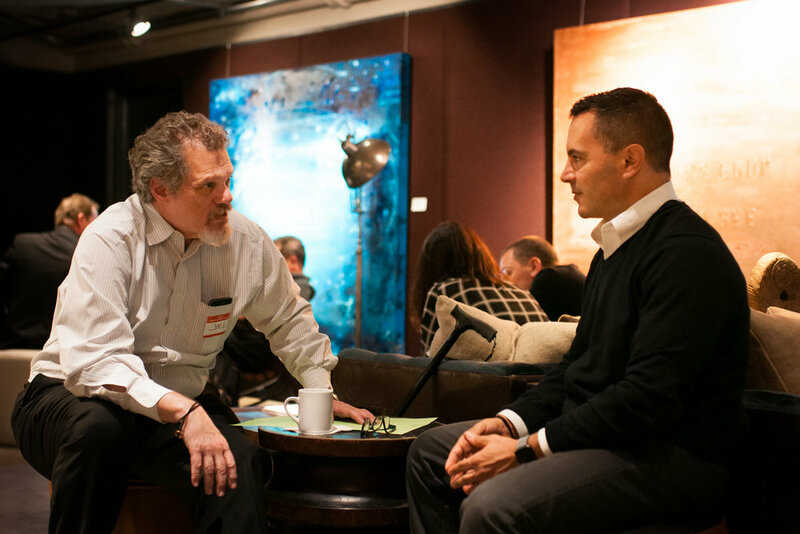 Primal Branding author and brand strategist Patrick Hanlon leads this intensely participatory workshop. 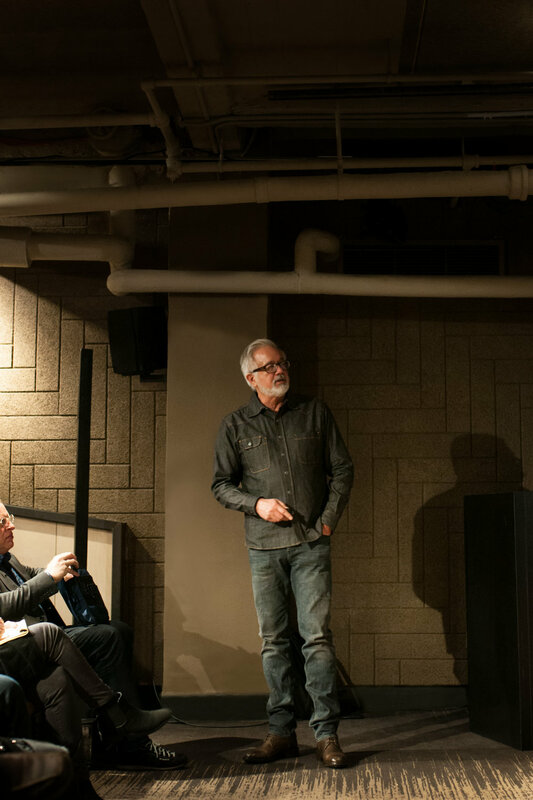 He was joined at Primal.Live NYC by leading marketers, agency chiefs and award-winning creatives who've solved the toughest problems for the biggest brands in the world using Primal Branding. 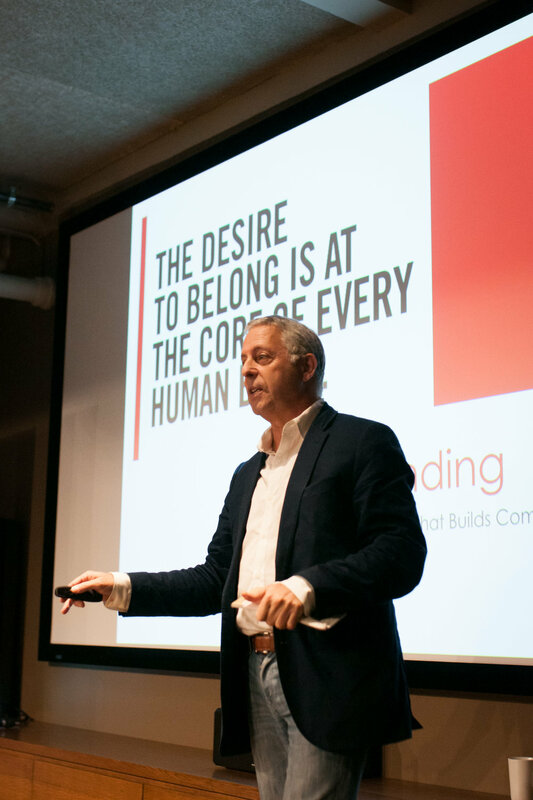 Patrick Hanlon's seminal book “Primal Branding: Create Zealots For Your Brand, Your Company And Your Future” anticipated the growth of social communities and is required reading at YouTube, the second largest social engagement platform on the planet. Hanlon defines how to create social communities that become so passionate about your success, they are willing to create it themselves. He has been a keynote or guest speaker at TEDx, IDEO, HP Innovation Series, NYU, Urban Land Institute, and Hanlon works with billion dollar brands and companies who want to become billion dollar brands. Jon is one of the advertising and marketing industry’s most recognized thought leaders and entrepreneurs. He has developed several significant companies and marketing concepts over his 30-year career. A co-founder of Kirshenbaum Bond & Partners, it was the original "word of mouth" agency, well before social media appeared on the scene. KBP was the first to develop the modern multi-disciplinary, integrated agency. KBP created the first pop-up store, and built one in only 18 hours as part of the television show The Apprentice. While at KBP, Jon was voted number 4 by Adweek's Executive of the Decade (2010). KBP was named agency of the year in 2008. Rachel leads an innovative new development team at YouTube, focused on social media stars and celebrity growth. Her team’s mission is to bring the world’s most beloved personalities and events to the platform, where they can share their stories with the world. Over the past decade, she’s helped YouTube superstars, Fortune 500 companies, and entrepreneurs improve their online brand and build zealous communities. She balances her work at YouTube by chasing her adorable toddlers and sampling the finest IPAs the Bay Area has to brew. 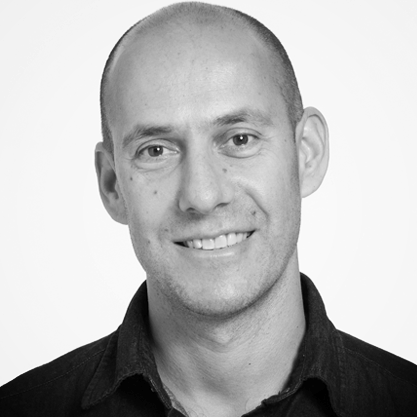 Joseph Perello is a marketer, agency leader and an entrepreneur. Perello's ideas and work creating a new public/private marketing model for the City of New York, as its first Chief Marketing Officer during the Bloomberg Administration, has been described as the most innovative of any city by Harvard Business School. Perello was Vice President of the New York Yankees where he helped the team shatter records in attendance, publishing, sponsorship and new media. As an agency leader, he bootstrapped the firm he co-founded into an award winning shop and led the agency and its product innovation group. He has spoken and lectured about marketing and social enterprises at Harvard, Stanford and NYU. Primal.Live is practical. Learn from world class leaders in politics, branding, marketing and communications as they illustrate how they have applied the principles of Primal Branding in their worlds. Stephen is an American campaign strategist and public relations executive for the U.S. Republican Party. He specializes in political message development and strategy. Schmidt was the senior campaign strategist and advisor to the 2008 presidential campaign of Senator John McCain and was the subject of the book and film "Game Change" on HBO. He is currently a political analyst for MSNBC and has appeared frequently on Real Time with Bill Maher on HBO. Pat is the CEO and co-founder of Props, a creator network and marketplace. He has 20 years of experience as a creative director working with some of the best brands in the world including Nike and Apple. Prior to Props, he was the Global Chief Creative Officer of the Hearst's digital agency, iCrossing, where he lead the transformation of the thousand-person shop from search marketing to full-service advertising. Pat was the Digital Creative Director on the Apple account at TBWA\Chiat\Day’s Media Arts Lab, where he helped create the iconic ‘Get a Mac’ campaign, which Adweek named “the campaign of the decade,” as well as several global campaigns for iPod and iTunes. Earlier in his career, Pat led the seminal Nike team at R/GA. Pat has received hundreds of top industry awards, including Cannes Lions and One Show Pencils, for his work. Mercedes Cardona is a veteran journalist who has worked for the world’s top media organizations including The Associated Press, Gannett Co. and Crain Communications. A frequent contributor to CMO.com and editor of Velocitize.com, she was formerly editor of The Economist Group’s Marketing Unbound. She also served as the Assistant Business Editor-Enterprise of the AP and Financial Editor at Advertising Age. Mercedes has contributed to books including The Ad Age Encyclopedia of Advertising. Her writing has appeared in newspapers, websites and magazines worldwide including USA Today, Nation’s Restaurant News, Essence, The Huffington Post, and many others. Carly is the Senior Manager of Communications for Vox Media, a leading media company housing eight editorial brands, Vox Creative and publisher-led marketplace, Concert. Much of her career has been in advertising, getting her start at Birmingham- based agency Scout Branding, then making her way to NYC to join award-winning agencies Goodby Silverstein & Partners and most recently, Droga5. Through her successful PR experience for companies, their talent and their work on brands, such as Google Pixel, The New York Times, Prudential and Under Armour, she continues to illustrate the powerful pull of a great story. She calls herself a New Yorker, but will always be a proud Charlottesville, Virginia-native and a graduate of the University of Alabama. PRIMAL LIVE™ and PRIMAL BRANDING™ are registered trademarks.